A Christmas Blues. This original Christmas blues features Adam Hall (from Adam Hall and the Velvet Playboys) on vocals and Trumpet . It's a fun Christmas blues encouraging all to give in to the spirit of Christmas. 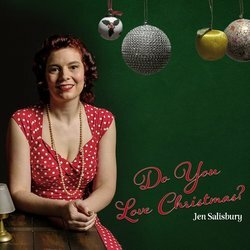 Taken From The Release Titled Do You Love Christmas?